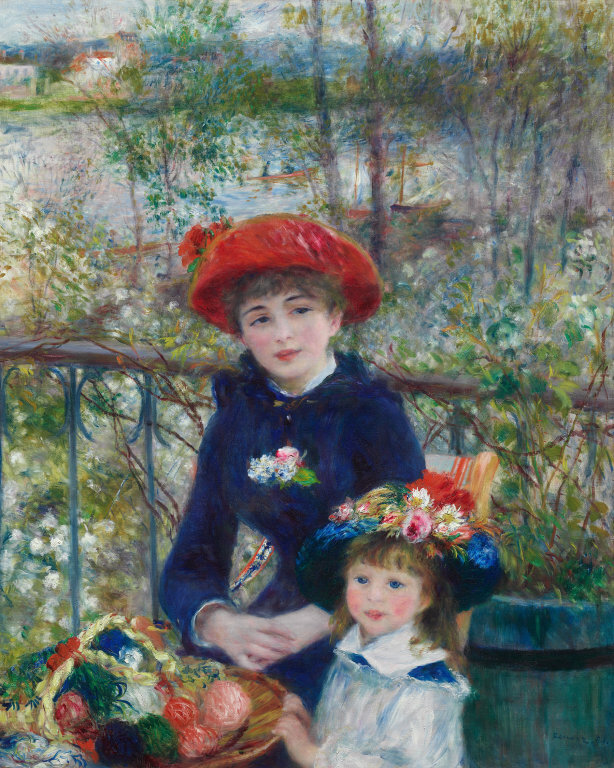 Renoir, Pierre-Auguste. Two Sisters (On the Terrace), 1881. Oil on canvas, 100.4 cm x 80.9 cm. Illinois, Art Institute of Chicago. The Art Institute of Chicago was founded as both a museum and school for fine arts around 1879. Today, it houses more than 300,000 works of art in their permanent collections, ranging from “Chinese bronzes to contemporary design and from textiles to installation art“. The digital collection contains more than 80,000 images, where you can search or browse by categories. The website also allows you to sign up for an account and make your own art collections by selecting artworks and adding notes about them. You can save your “collections” to revisit in the future or share them with your friends. Under Fair Use, users are able to use the site content for limited noncommercial, educational, and personal use only. All copyright and other proprietary notices contained on the images are to be retained. Citation is required by including the author, source of the materials and other descriptive information. e.g. Seurat, Georges. A Sunday on La Grande Jatte, 1886. Oil on canvas, 207.5 cm x 308.1 cm. Illinois, Art Institute of Chicago. Accessed on July 15, 2015 from http://www.artic.edu/aic/collections/artwork/27992. Please read their Terms and Conditions for full details before using images.